It's a kindergarten tradition to make ice cream. We can't get to the end of June without making and eating ice cream. Thoughts of ice cream lead to playing ice cream. The kids got to work at the ice cream store. And I got to work making an ice cream sensory bin. Almost as yummy as eating real ice cream. I will have to look for this book, too! Cute sensory bin-- my daughter would LOVE it! Thanks for linking up again this week! This looks like a super cute book and ice cream ~ say no more! Thanks for sharing! 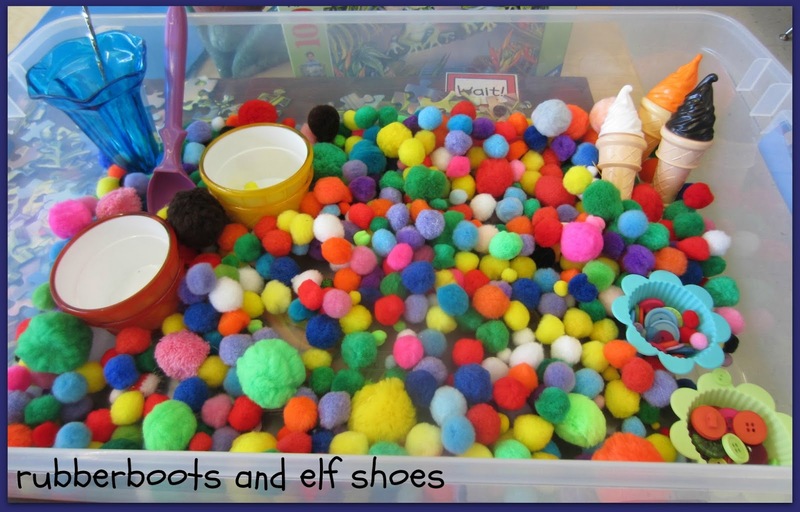 wow...what an awesome book and activity...definitely going to do this with my son....thanks. 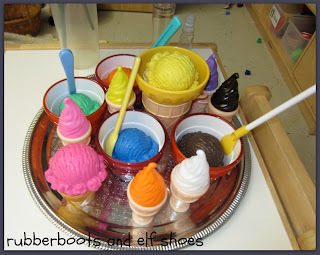 Great combinations for kids - read about ice cream, make make-believe ice cream sundaes, then eat the real thing. Yummy! We are on vacation at the beach, and of course our trip wouldn't be complete without ice cream in the heat! 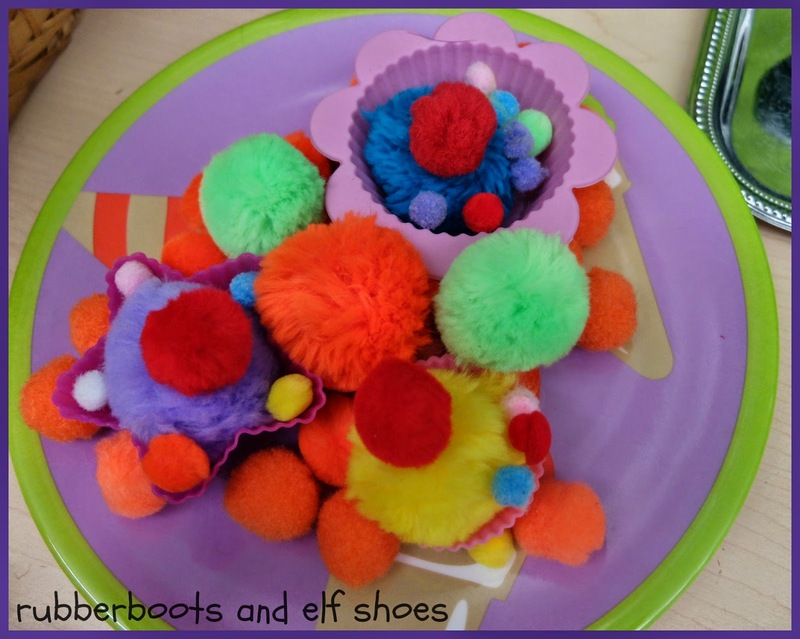 Thanks for linking this sensory activity up to the Kid Lit Blog Hop! 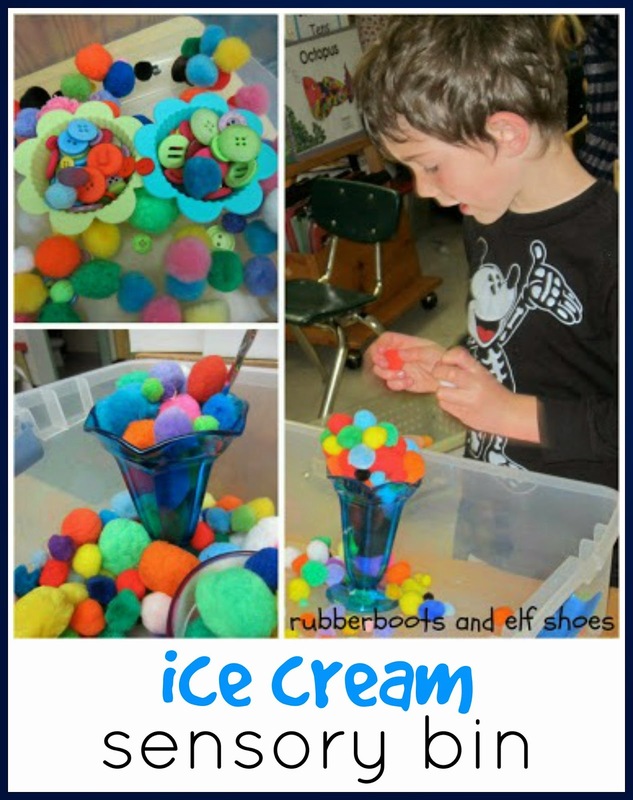 This book looks so cute, and I love your ice cream sensory bin!! Thank you so much for sharing with us over at the Kid Lit Blog Hop. Any book with ice-cream in the title gets my approval! This, really, though is a great review with fun ideas - thanks for sharing! Sounds like a lot of fun to me! Thank you for sharing at Sharing Saturday!! Yummy! Those self-made cones are terrific. Of course, the real ones aren't bad either ;) Great idea to combine the book with an activity. Stopping by from the Literary Blog Hop to say hello. What clever ideas and a great book. What's not to love about ice cream? My favorite is regular old vanilla with peanut butte and chocolate syrup! Thanks for dropping by. You can't go wrong with ice cream.